Julia Barretto stressed to Kris Aquino to not blame herself if their film would not be as successful as they had expected it to be. 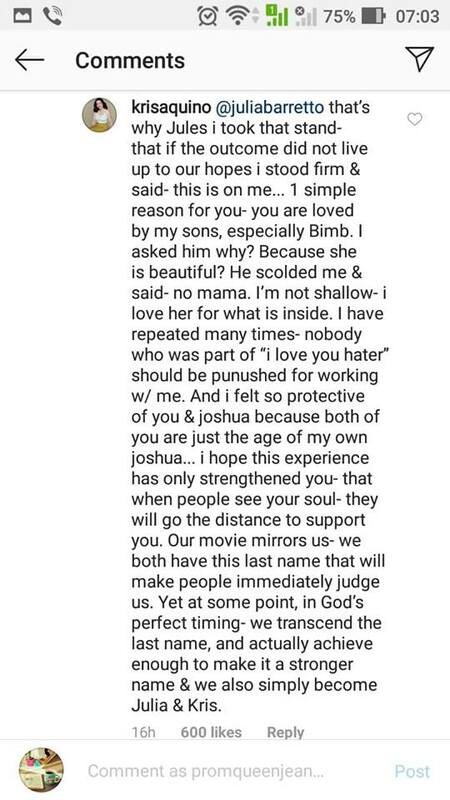 Kris Aquino and Julia Barretto had a heartfelt conversation on Instagram on Wednesday, July 18. 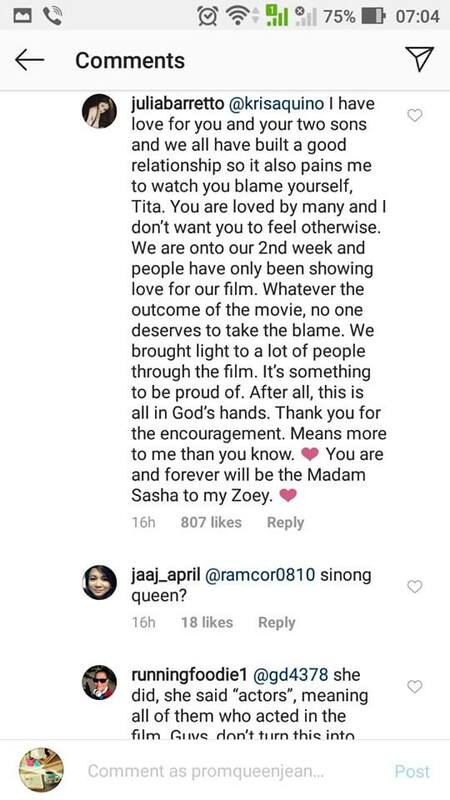 In her Instagram comment on Julia's post about their new movie "I Love You, Hater," Kris remarked that she is taking the blame if the film would not be as successful as they expected it to be. "Jules I took that stand - that if the outcome did not live up to our hopes, I stood firm and said - this is on me," Kris wrote. She added that what she hopes for at the time being is for Julia to grow from what has transpired. "I hope this experience has only strengthened you - that when people see your soul - they will go the distance to support you. Our movie mirrors us - we both have the this last name that will make people immediately judge us. Yet at some point, in God's perfect timing - we transcend the last name, and actually achieve enough to make it a stronger name and we also simply become Julia and Kris," she further stated. 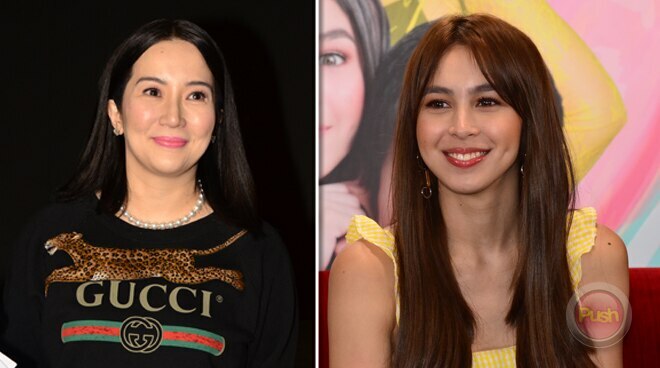 In response to Kris' comment, Julia stressed to the actress-host to not take the blame, whatever the result of the film would be. "I have love you for you and your two sons and we all have built a good relationship so it also pains me to watch you blame yourself, Tita. You are loved by many and I don't want you to feel otherwise. We are onto our 2nd week and people have been showing love for our film. Whatever the outcome of the movie, no one deserves to take the blame," Julia replied.